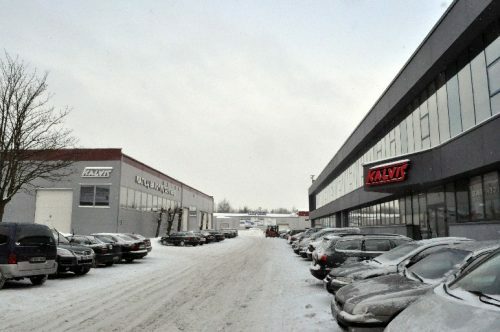 UAB „Kalvis“ is one of the largest metal processing companies in Lithuania, employing over 300 skilled workers. Kalvis has an experienced team of designers and technologists who develop and improve heating equipment, design various technological equipment and machinery. 2. 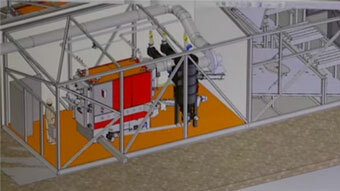 Automated heat plant equipment design and manufacture. 3. 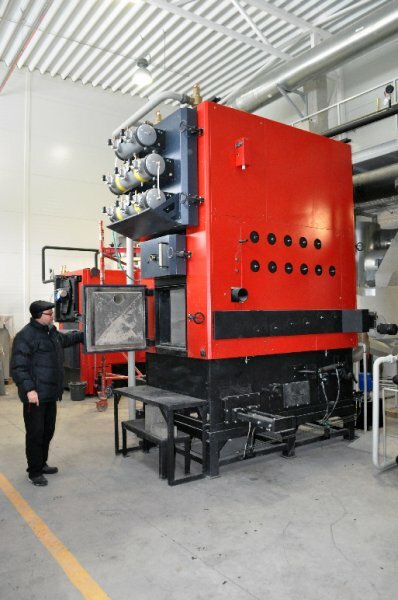 Design and installation of stationary and container heat plant equipment. 4. Design and manufacture of steel constructions and technological equipment. 6. Steel works subcontracting services . 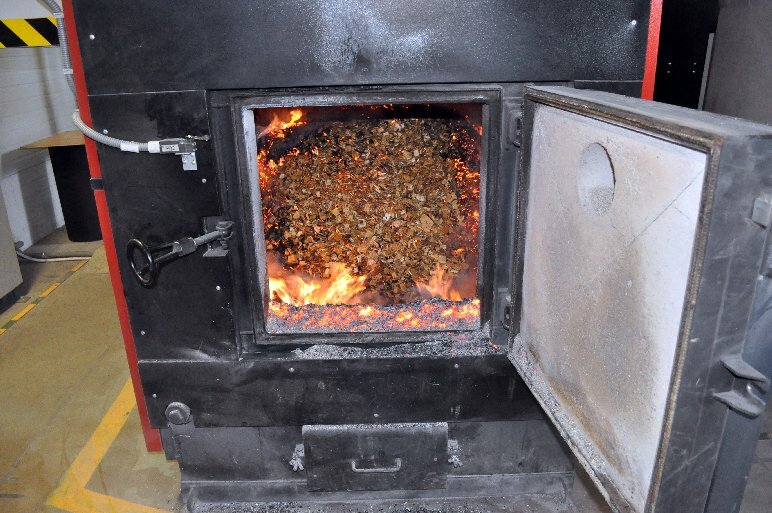 Kalvis manufactures over 100 types of solid fuel fired boilers in series. 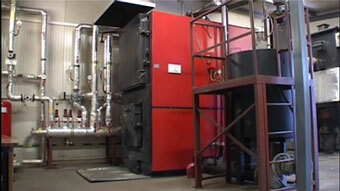 All of the serial products are tested and improved in Kalvis heating equipment testing laboratories. All our products conform to the requirements for CE marking. Kalvis products are exported into many countries. Heating equipment sales are successfully growing in Ukraine, Belarus, Russia and Western European countries. Today Kalvis is one of the largest metal processing plants in Lithuania and Kalvis products are exported into many countries world wide. 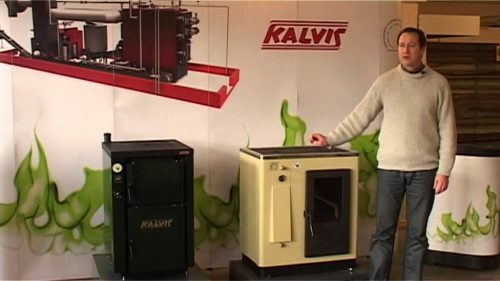 Predecessor of Kalvis was found in 1961 as an original equipment manufacturing workshop for TV set plant Tauras. The workshop worked on designing and manufacturing of TV set production technological lines: conveyor lines, various machinery, robotized lines, chip plate production lines, new storage complexes etc. To ensure growth of production a team of highly qualified blue and white colar workers was assembled. After restructuring of the TV set production plant in 1994 UAB “Siauliu Tauro Kalvis” was found which was renamed into UAB “Kalvis” in 2007. Professional and creative employees were creating new products fit for the ever changing market. Small and large series of products made from steel was started, new technologies and machines introduced into manufacturing, new partners both in Lithuania and abroad were found. Company increased it production area, renewed machining department, sheet metal processing, welding and painting equipments. In few years two main lines of activity became more and more important to Kalvis and were developed further. Those two lines are steel works subcontracting services and solid fuel firing heating equipment design and production. Currently Kalvis employs 300 skilled workers, experienced designers and technologists who create and continuously improve heating equipment, design various technological equipment. Kalvis actively cooperates with Lithuanian universities. In 2011 Kalvis installed an approved quality management system, environmental management system and safety at work management system that conform to requirements of ISO 9001, ISO 14000 and OHSAS 18001 standards. 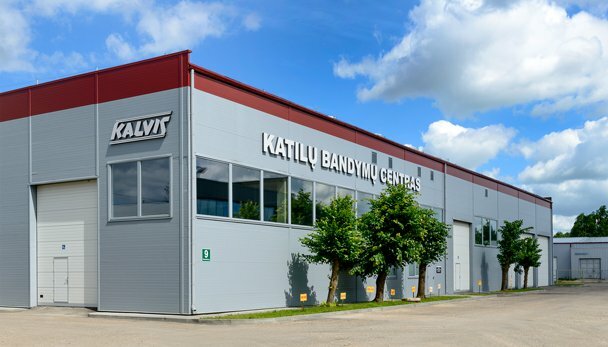 By creative use of a 50 years of experience Kalvis plans it’s future: we built a boiler testing center, expand the scope of manufactured products, increases volume of manufacturing and exports to our partners in Western, Northenr and Eastern Europe. Should we have an open position suitable for you we shall come with you into contact. 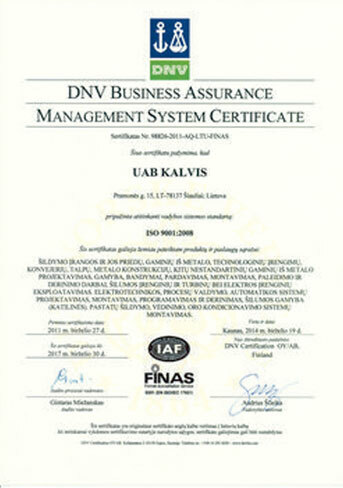 In 2011 Kalvis installed an approved environmental management system that conforms to the requirements of ISO 14001:2004. When working on approval all of the processes – from design to production – were reviewed to reduce the negative impact on environment when manufacturing or operating Kalvis equipment. Our heating equipment uses renewable fuels. When equipment is correctly installed and operated very little negative impact is made on environment. Kalvis products are successfully exported into many Western European countries where environmental regulations are particularly strict. We hope that more customers who understand responsibilities for clean environment will choose products manufactured by Kalvis. Since 2017 March company participates in the international project ”Life Fit for REACH” (No. LIFE14ENV / LV000174), the main objective is to ensure efficient management of chemicals in the company and reduce the use of hazardous chemicals by replacing them with safer alternatives. It aims to eliminate hazardous chemicals that may be restricted in the future and prepare for future restrictions today. One of the main results of the planned project is the assessment and demonstration of the negative impact of hazardous chemicals on the environment; the positive impact of the replacement of hazardous substances on the company’s economic activities and on employee health. 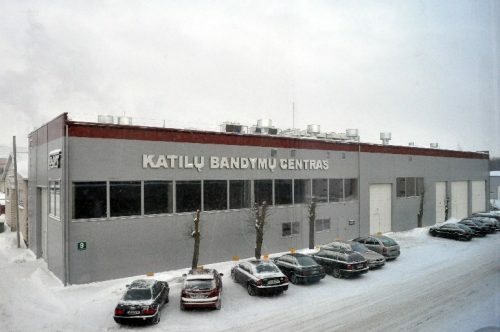 Kalvis built a Boiler testing center – laboratory with the help from the EU structural funds in 2013. 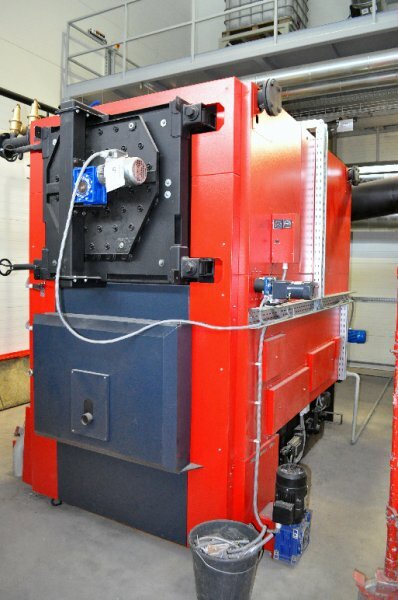 Since then all solid fuel boilers manufactured by Kalvis are being tested in the new facility. Minimal required draught in the combustion chamber to ensure minimal and nominal output. We perform draught, gas temperature measurements, determine concentrations of CO, CO2, O2, NOx, OGC, SO2 and solid particles in exhaust. We test new and improve existing fuel supply lines, deashing and exhaust cleaning as well as heat plant control system designs. Tests are performed with different types of fuel. Kalvis staff plays basketball in “Kalvis” basketball club. Best players take part in Šiauliai city championship since 2009. Others play twice a week in „Saulės“ sports arena. In the 2009-2010 season Kalvis won B city league. In the 2010-2011 Kalvis was second in the A city league. In the 2011-2012 Kalvis was * in the A city league. 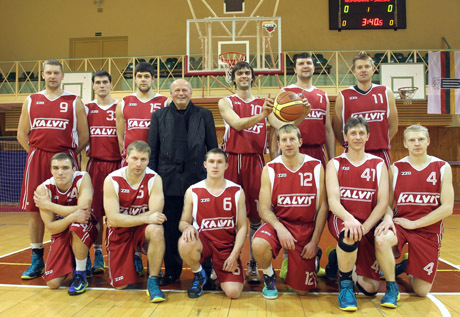 Kalvis team expects to come in first from the 2012-2013 season. TV show "Plyta prie plytos"